Project Fi's Wi-Fi Assistant has been in the news more than usual lately, due to its addition to all Nexus devices and its new ability to secure networks that users manually connect to. Now, the team behind Wi-Fi Assistant has added eleven new European countries for Fi users and a new feature that aims to make existing, saved open networks on your device more secure. Project Fi subscribers can now utilize Wi-Fi Assistant in Austria, Belgium, France, Germany, Greece, Ireland, Italy, Netherlands, Portugal, Spain, and Switzerland. The Fi team believes that this will allow travelers to stay connected securely, while simultaneously lowering data costs. 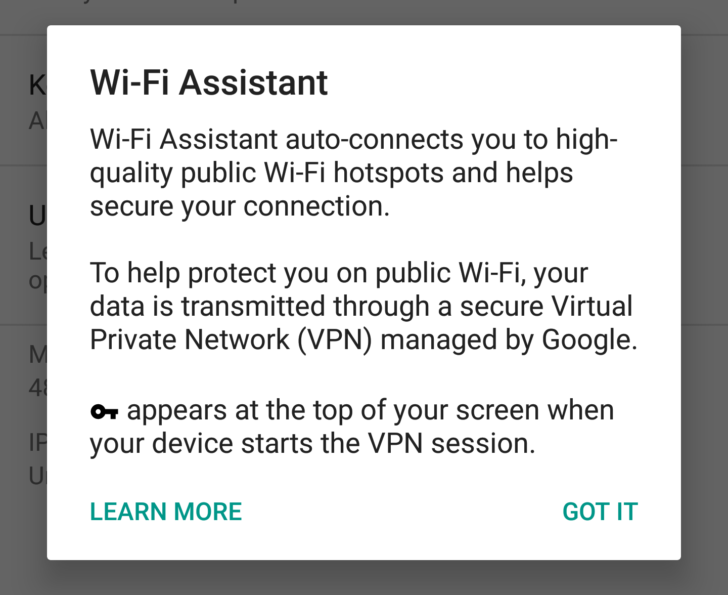 Additionally, Wi-Fi Assistant now offers to secure Wi-Fi networks that are saved on your device with its VPN. Like the current implementation, this new feature will only secure these existing networks if Wi-Fi Assistant determines that they're high quality (good latency, throughput, and reliability) and open networks without passwords or captive portals (pretty rare). The Fi team also provides some clarification on why Wi-Fi Assistant will work with a network and then not work with the same network later. Because Wi-Fi Assistant checks both historical and real-time data and not just the SSID, your device may not be able to connect if the quality is detected to be different. You can learn more about this new feature here.